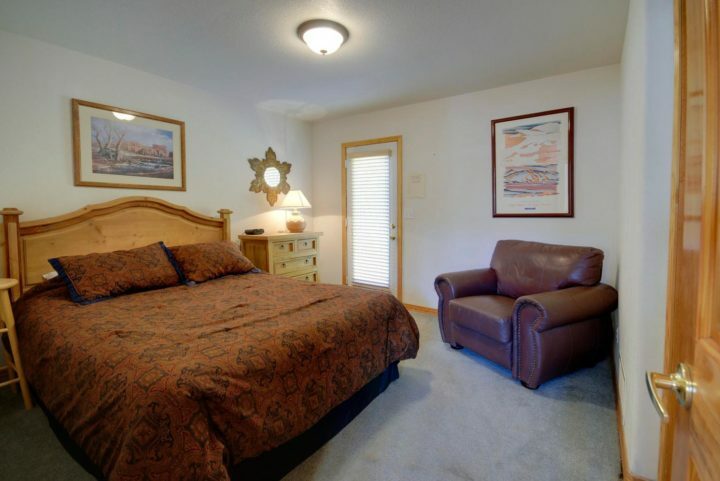 The Retreat duplex units. Wide angle lens--makes mountain look more distant but shows the mile-wide ski run view. 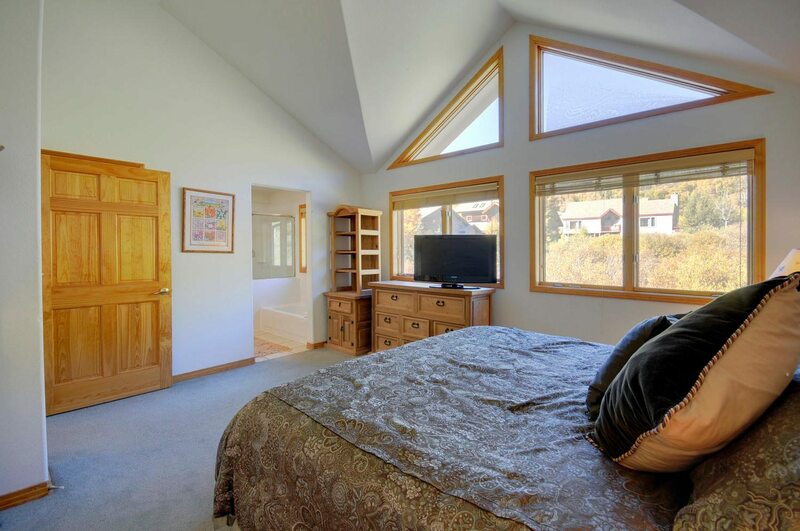 Great Room has two walls of high windows facing toward the ski runs. 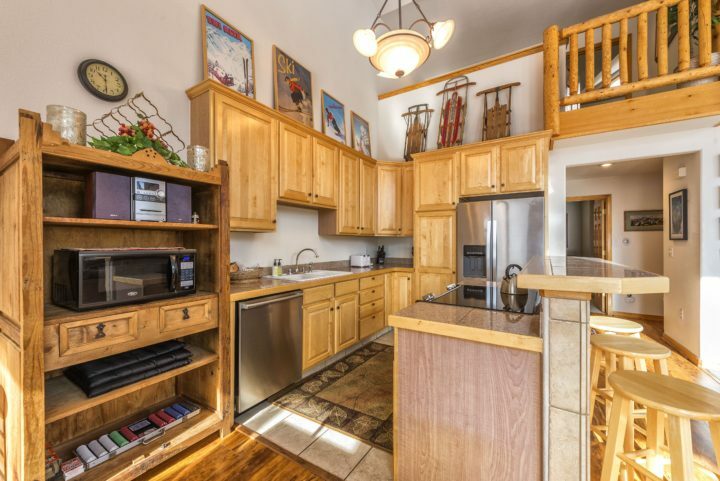 Town home has private deck facing south toward the ski runs. Private patio also. Great Room area with 2.5 story ceiling. 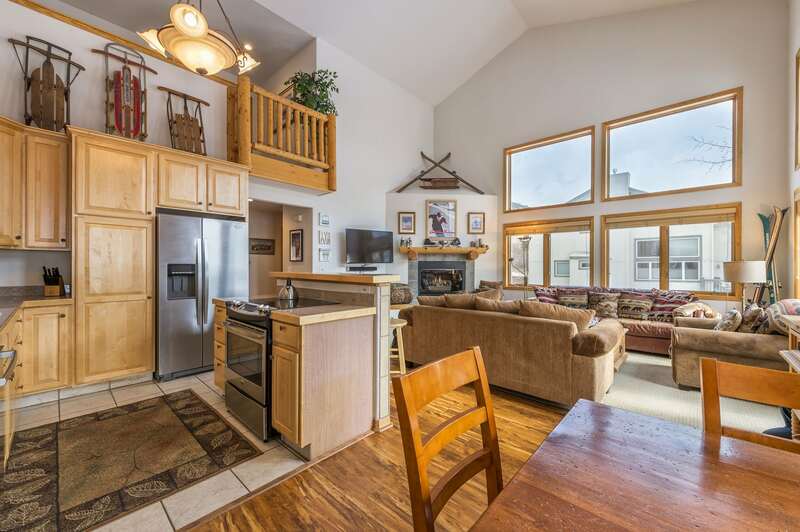 Great Room has fireplace, flat screen TV, Queen foldout, and private deck. 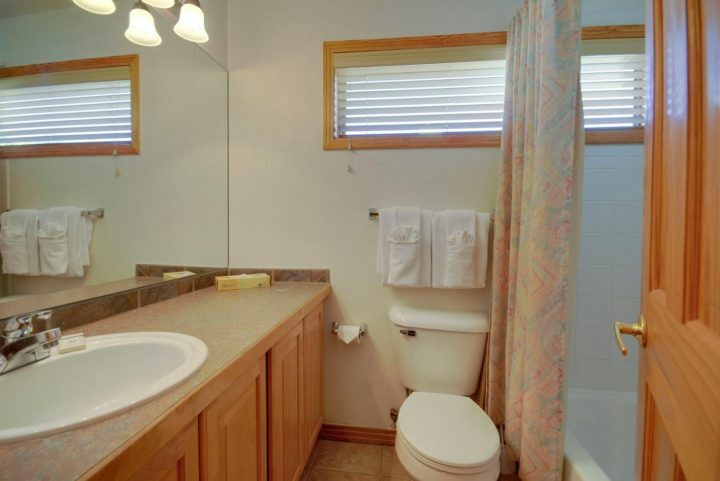 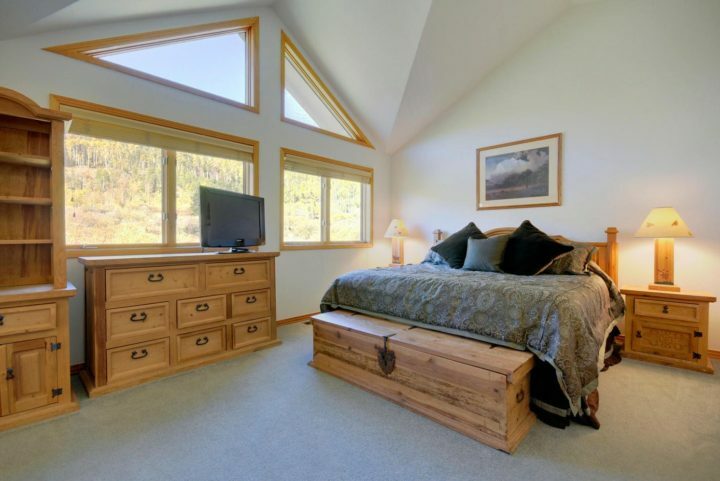 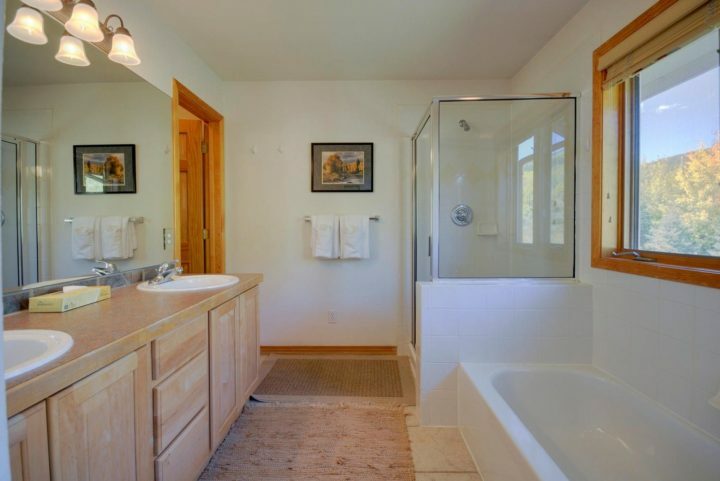 Both the master bath and bedroom have the same panoramic greenbelt view. 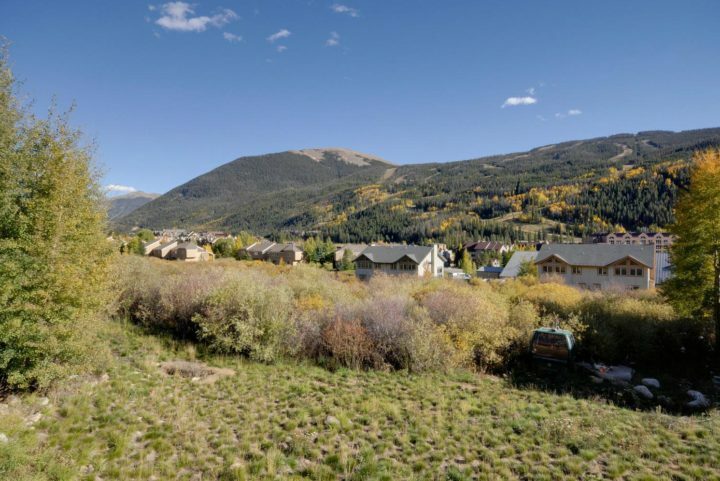 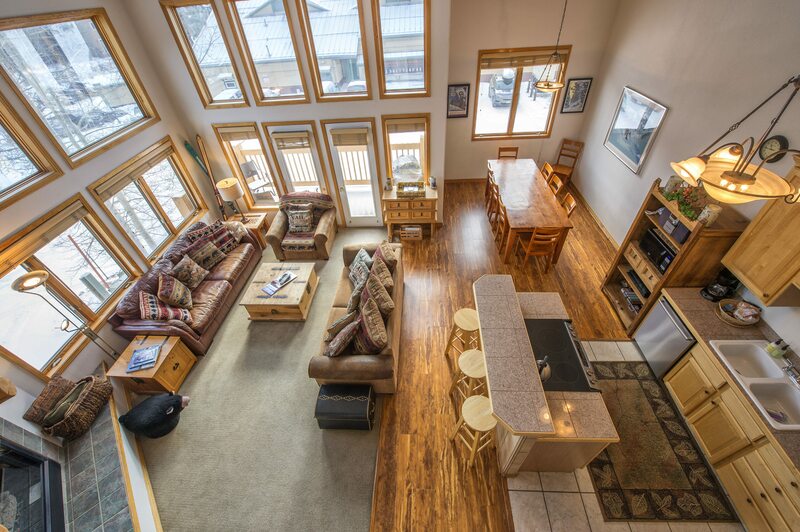 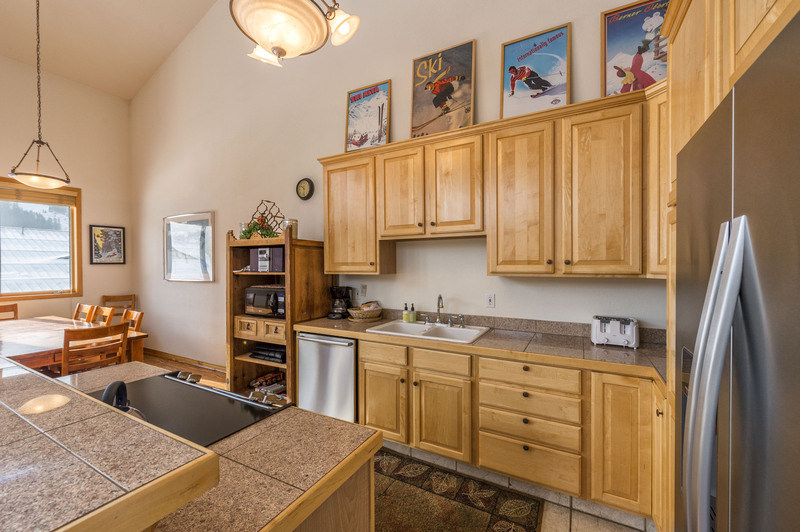 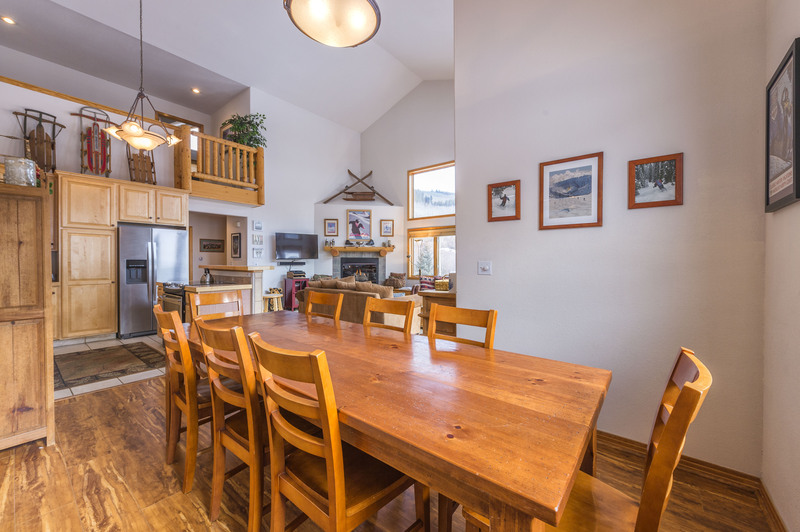 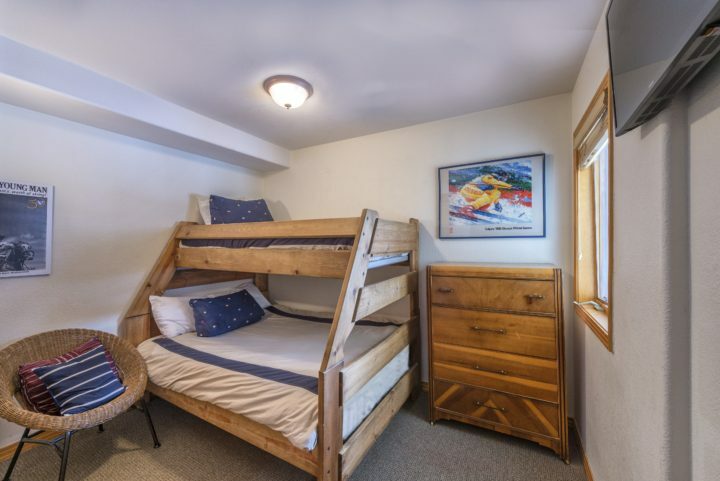 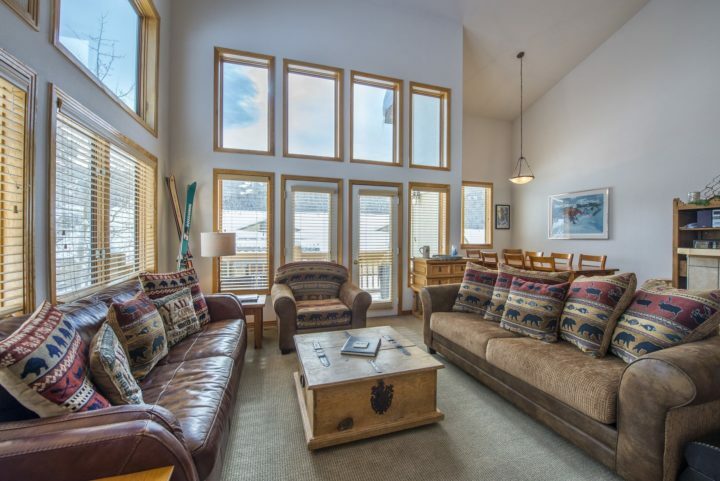 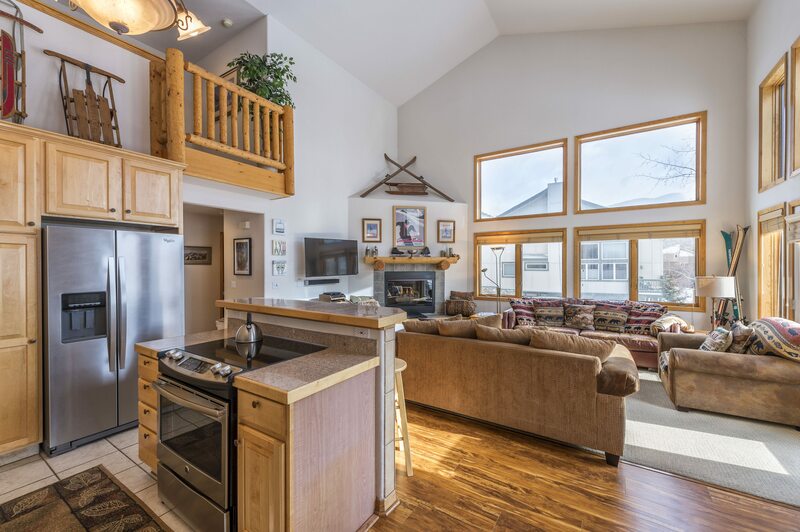 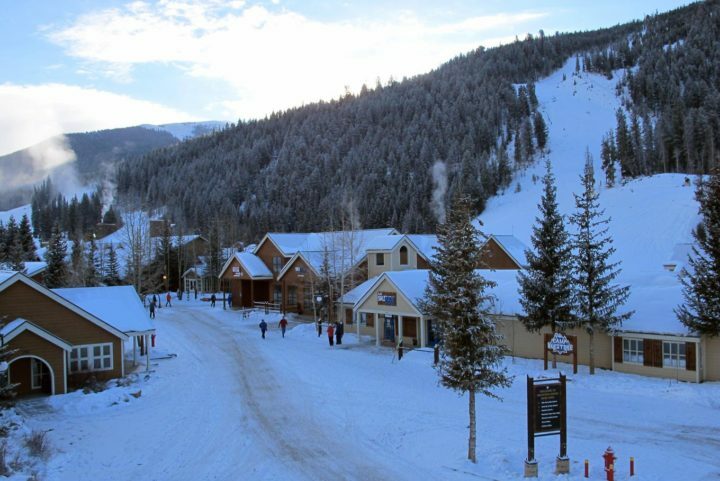 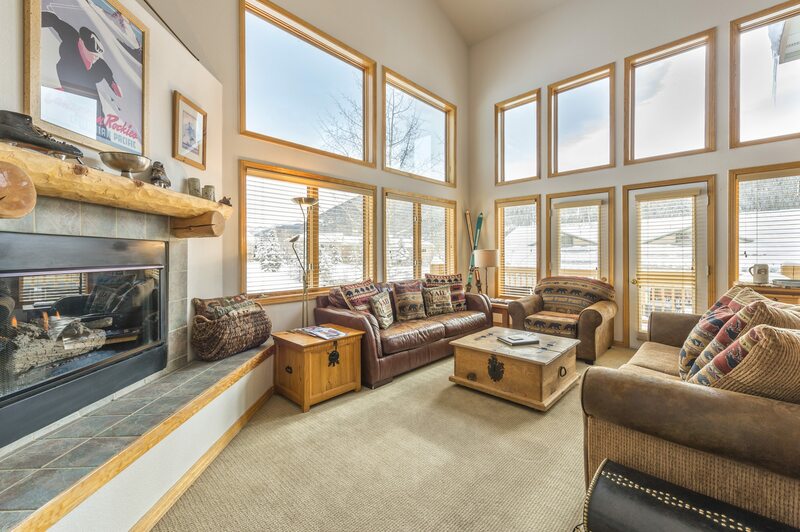 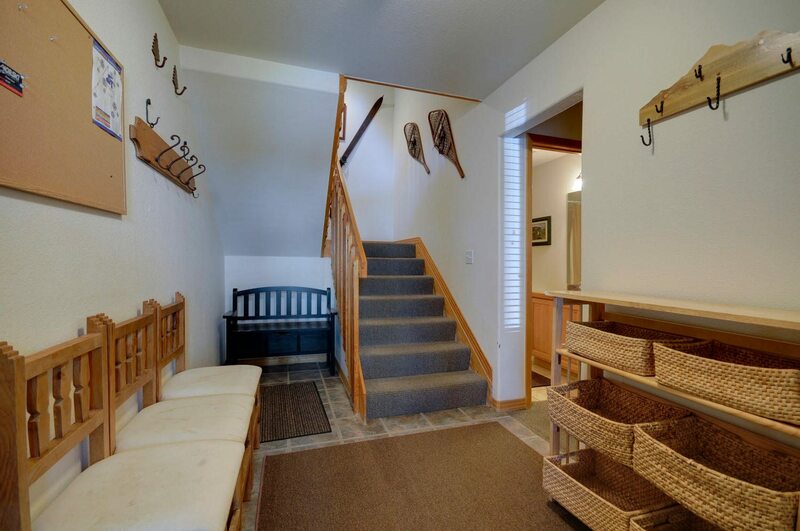 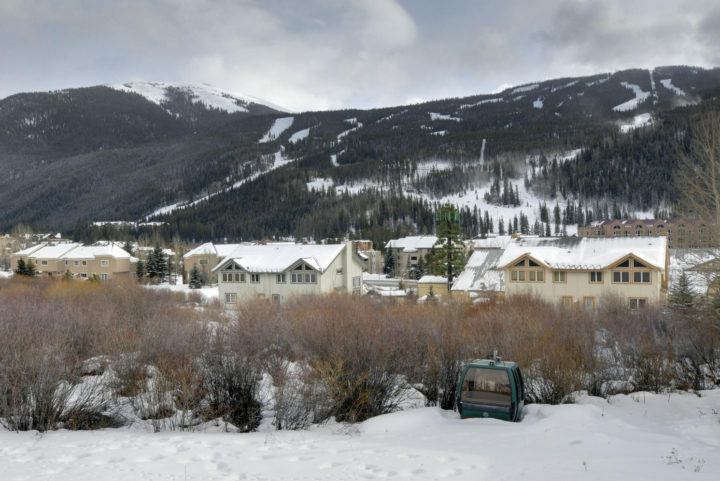 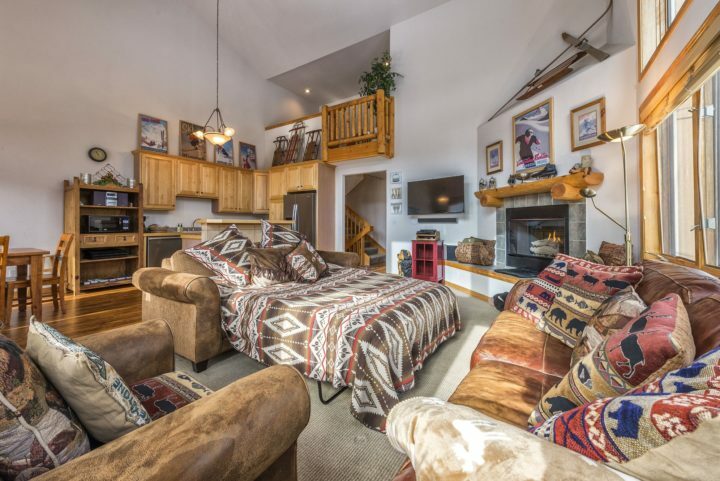 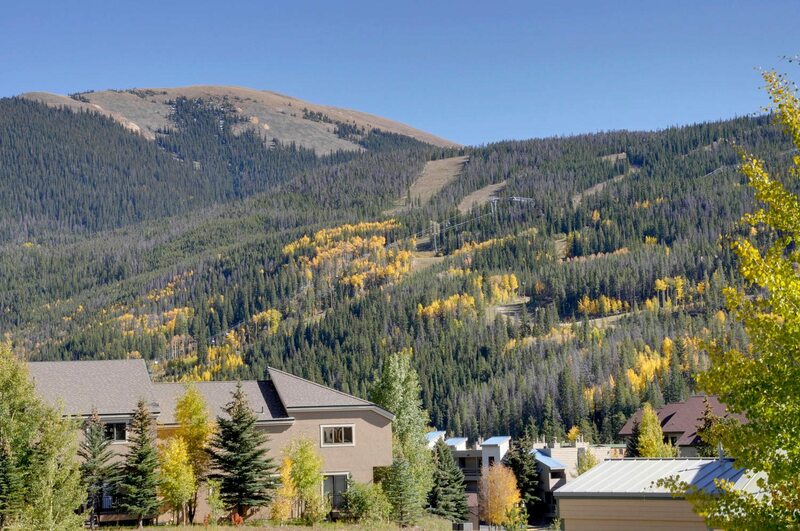 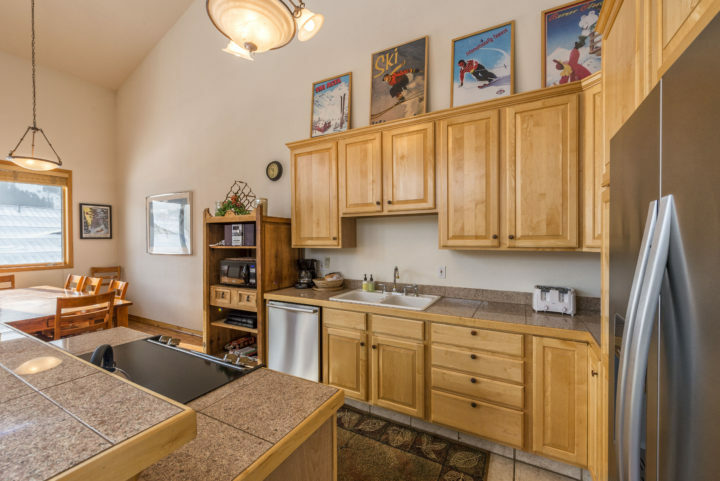 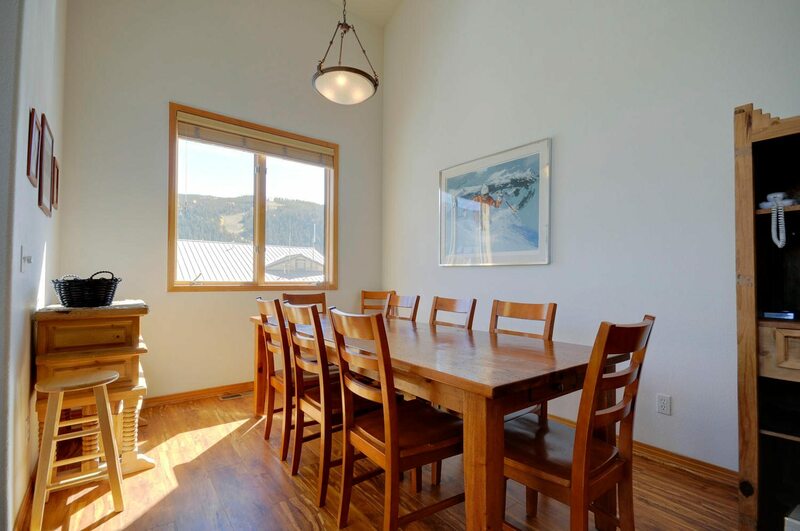 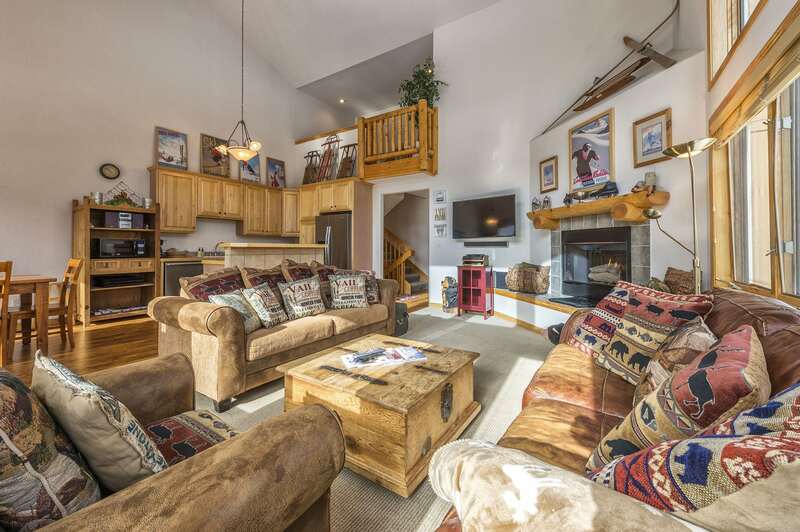 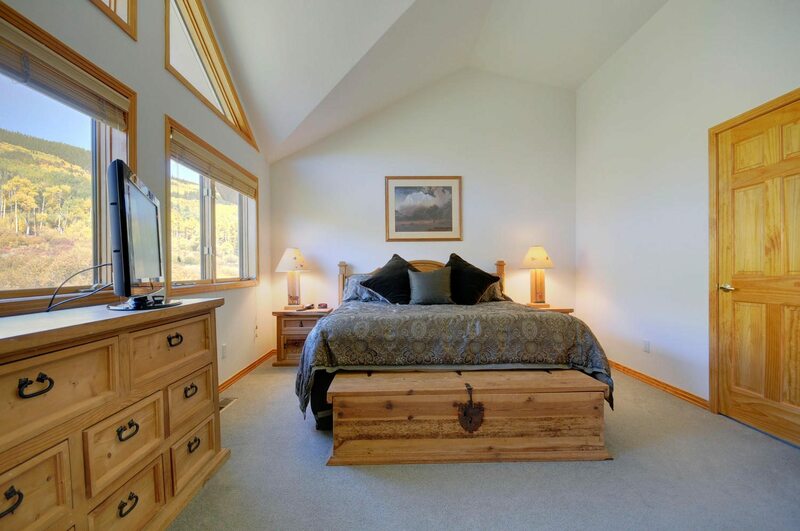 4BR/3 Bath duplex unit (sleeps up to 12) in the Keystone Ski Area. Walk to 7 restaurants, 3 night spots, internet/sports cafe (12 HDTVs + video game area), and Mountain House lifts (5 min. 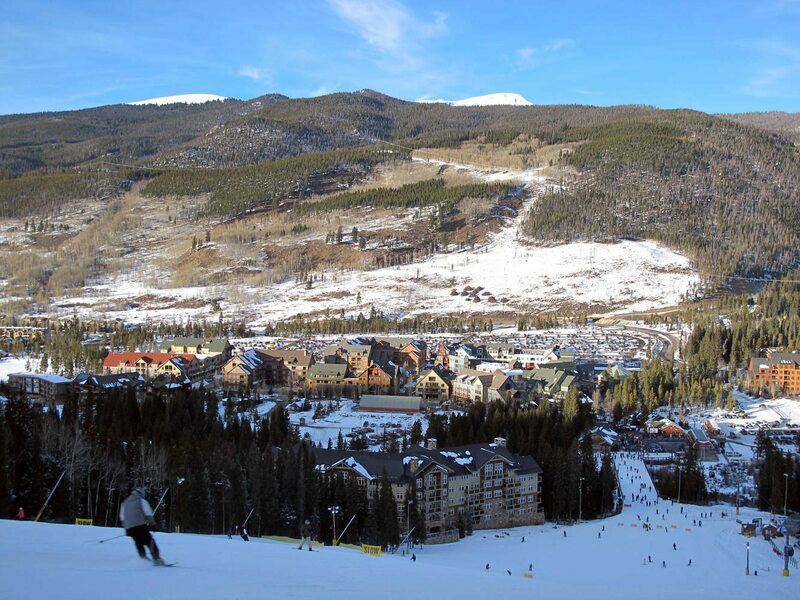 walk). 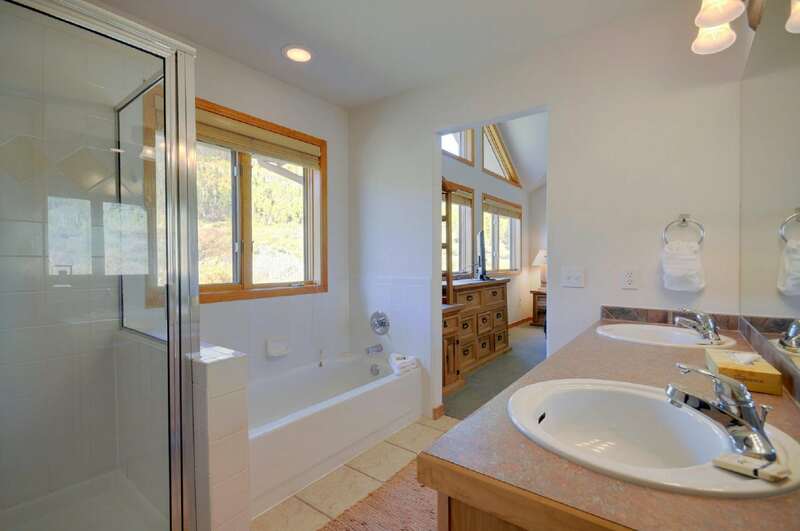 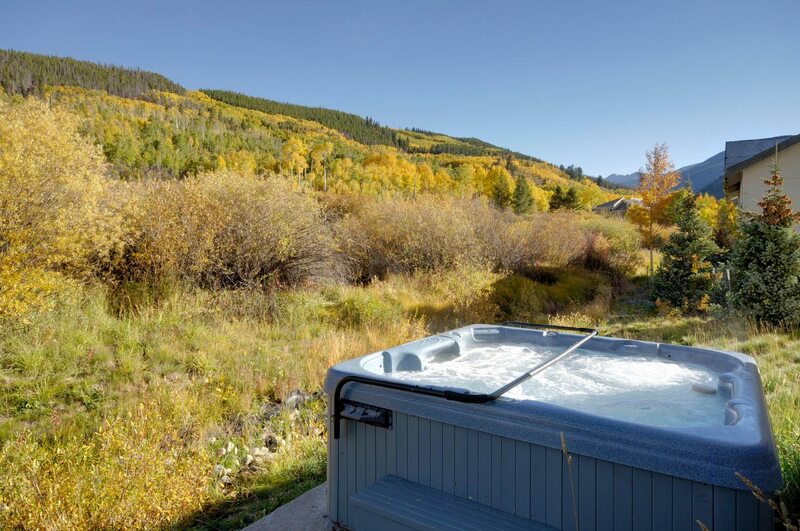 6-person private hot tub, 2-car private garage (with extra driveway parking for 2 more cars). 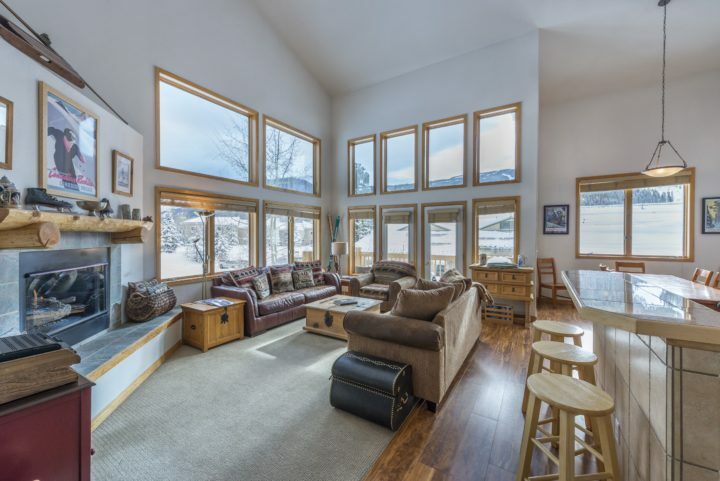 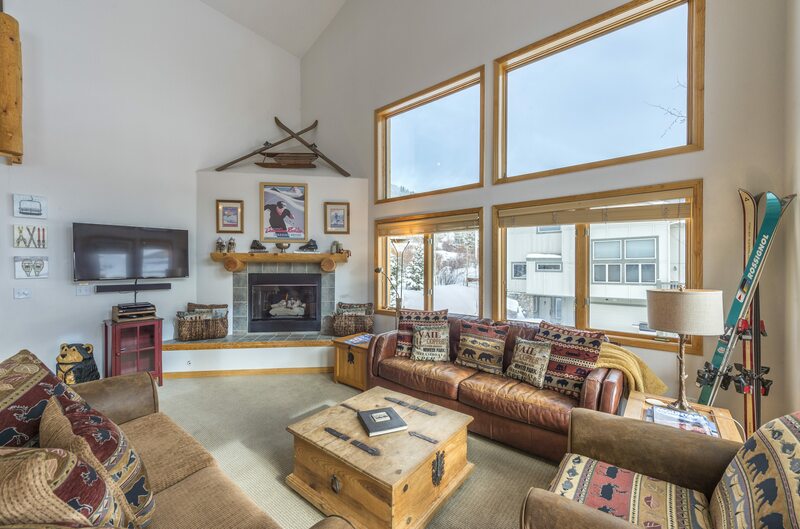 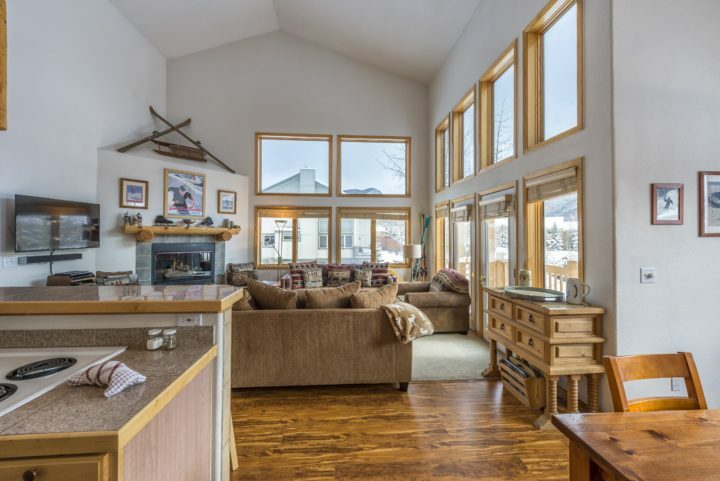 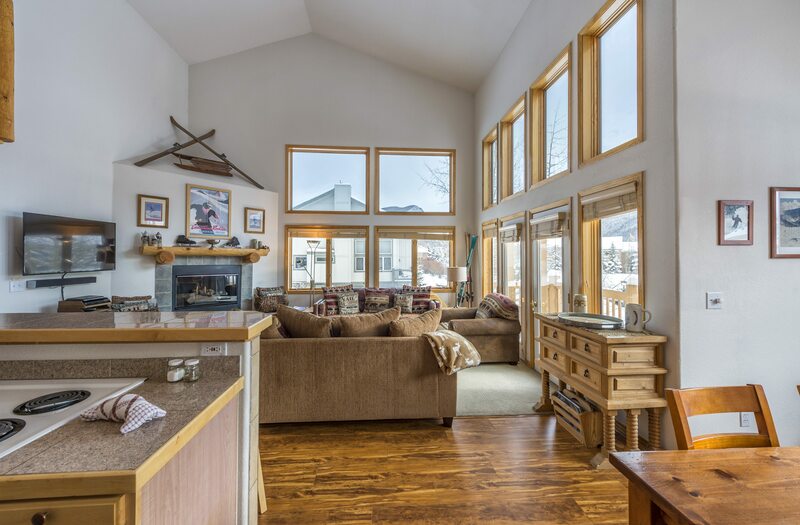 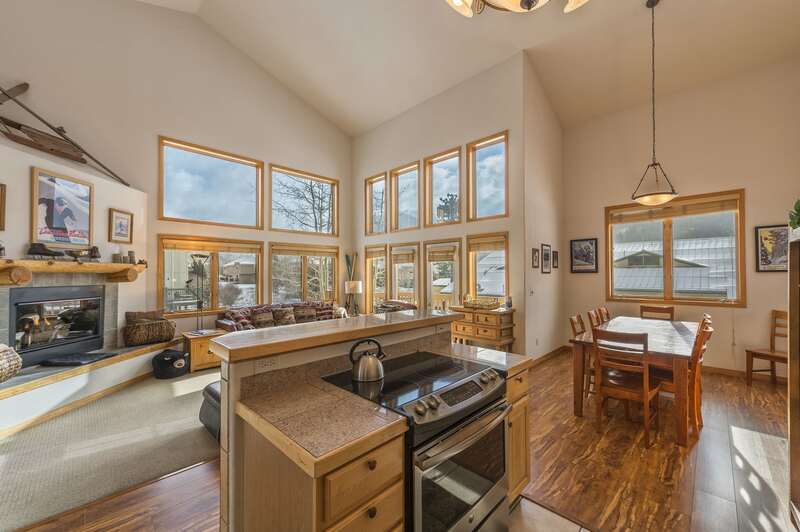 Living room has 2-story vaulted ceiling with high windows framing the ski runs on two separate walls. 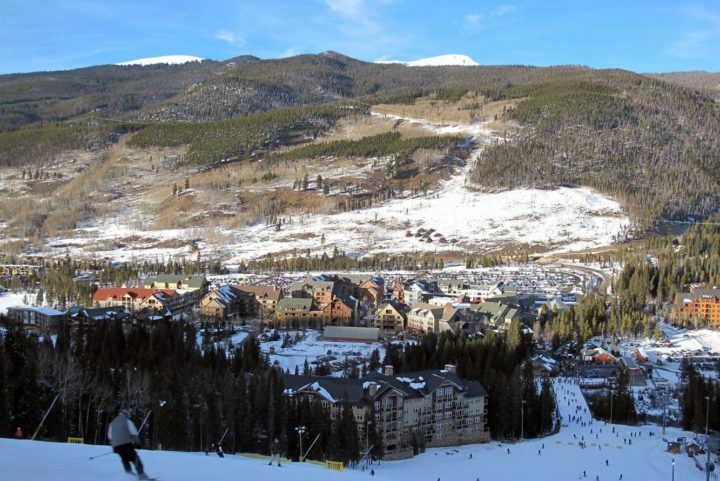 Panoramic view of Keystone Mountain (watch the skiers day & night). Ideal property for those who want more privacy than a condo (only one wall shared with the adjacent unit—windows on the other three sides). 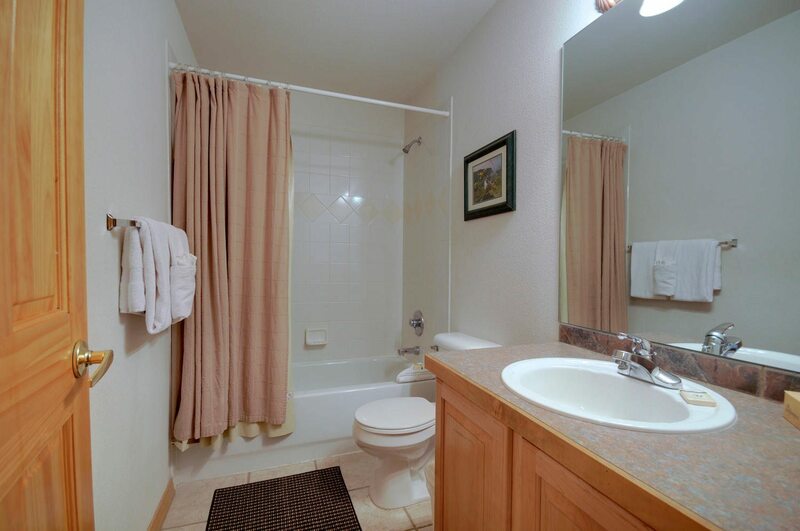 Can be rented with #12A next door for total of 8BR/6 Baths (sleeps 24). 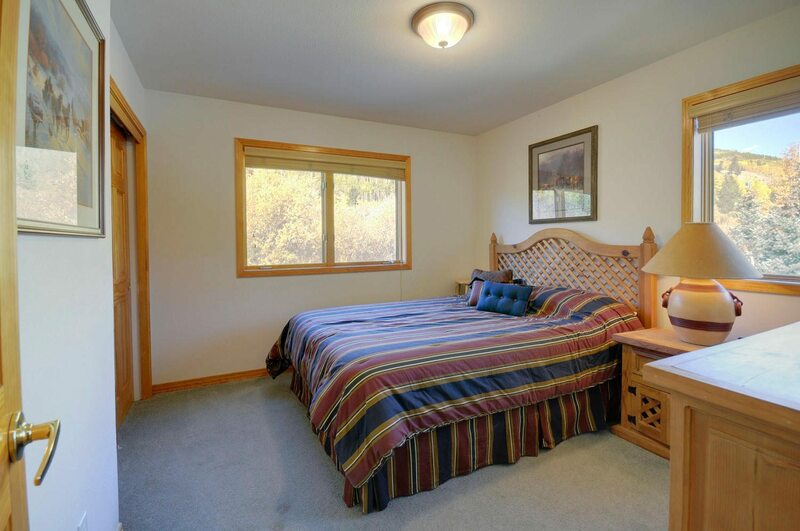 Living Room—Queen foldout (plus portable twin futon—can be put in any room).